Due to the failure of our outgoing Skyledge tent and the arrival of a warranty replacement; we are in the lucky position to do a side-by-side comparison and evaluate most recent changes to the Skyledge. 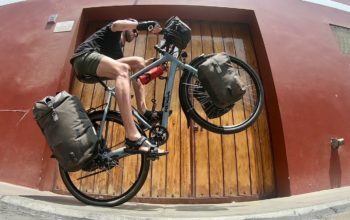 Unfortunately, it seems there's nothing revolutionarily different which will prevent the failures of the old design recurring, but, Mountain Hardwear have made pitching quicker and easier, shaved off some weight and focused the design around the ability to dry-pitch – nothing to shake a stick at. We will be pushing this tent to its limit over the next year or two, and shall keep you up to date with how it's performing. 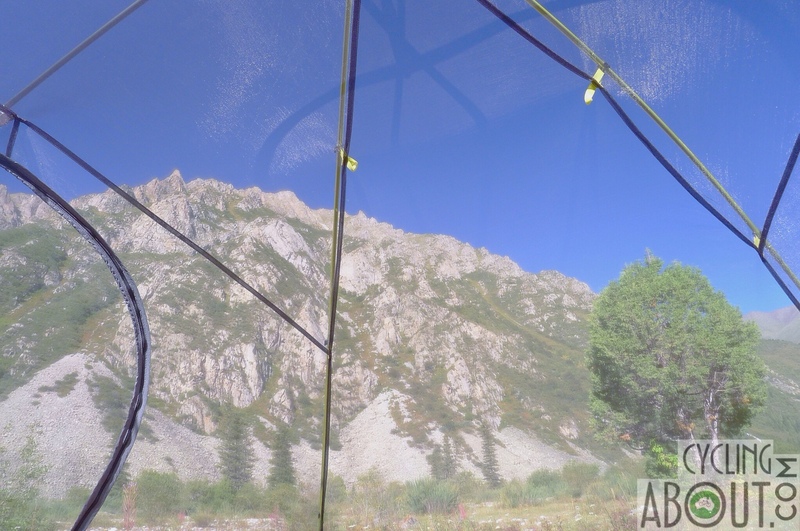 Introducing our new Mountain Hardwear Skyledge 3 DP tent! 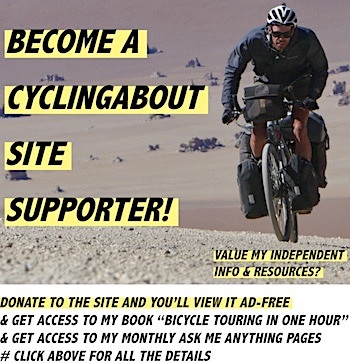 – Its set up: it's super easy to erect a freestanding tent, even for one person (see video above). 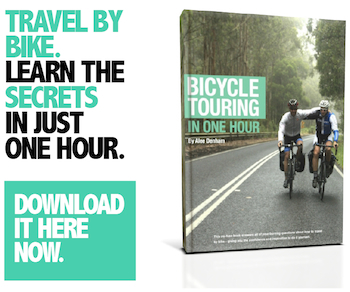 – Its super light weight: even for a three person tent (1.9kg without groundsheet). – So much mesh! It will be nice and cool in warmer climates and great for starry nights. 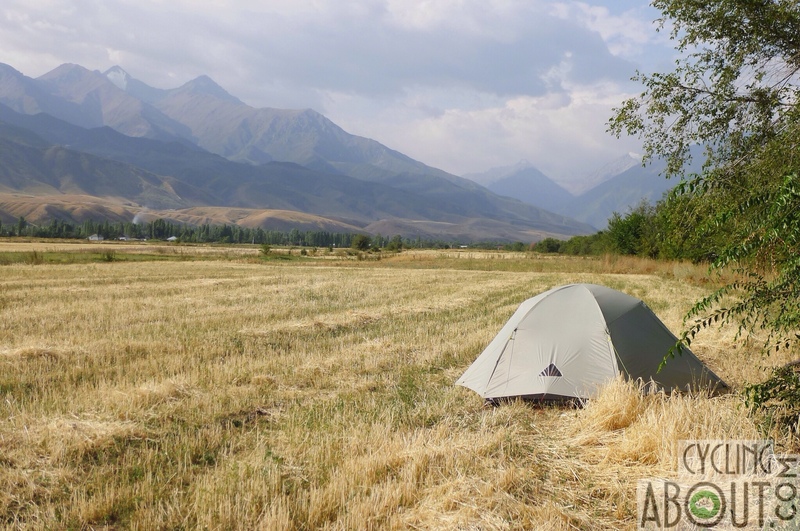 The mesh inner is amazing in picturesque environments like the Ala Archa National Park, Kyrgyzstan. – Its ventilation. We have minimal condensation inside the tent, even on really cold nights. Never has the tent dripped on us like so many other tents. 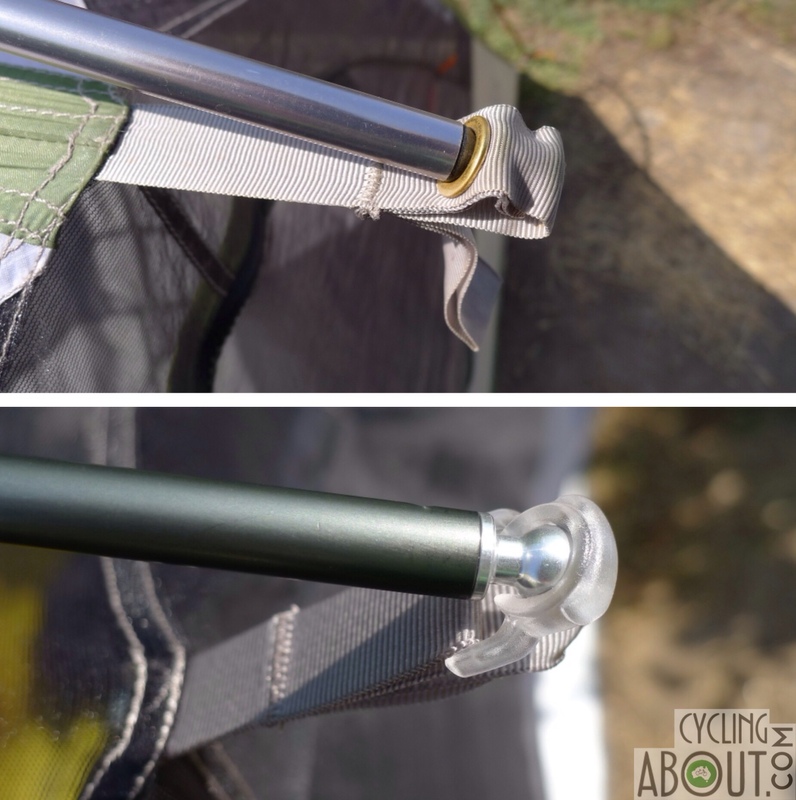 – Its pole organiser / connector: which makes pitching easy and seems to stiffen the tent out. 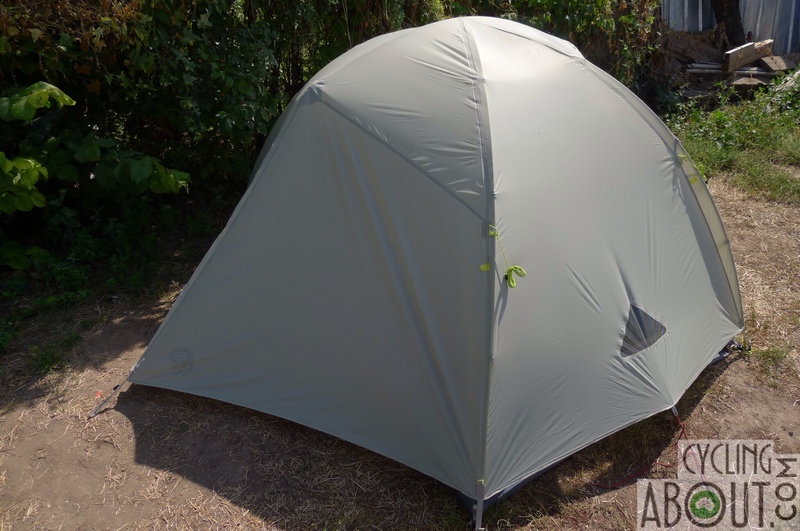 – It comes with a groundsheet when you buy it, unlike almost every other tent! 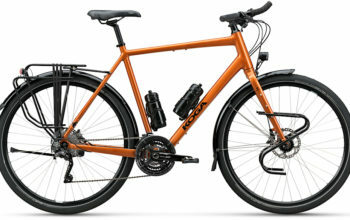 – Its design: more specifically around being able to dry pitch in the rain, which really works (see dry pitch video above). Cool features such as these clips on the fly allow for a simple dry pitch. – The new colour Smokey Sage: which is quite good at blending in under all conditions, including desert, beach, field and forest. Inside the tent, the colour creates a nice ambience during the day. Daytime ambience is light inside the Skyledge 3. The sage colour works best in yellow and light green environments. 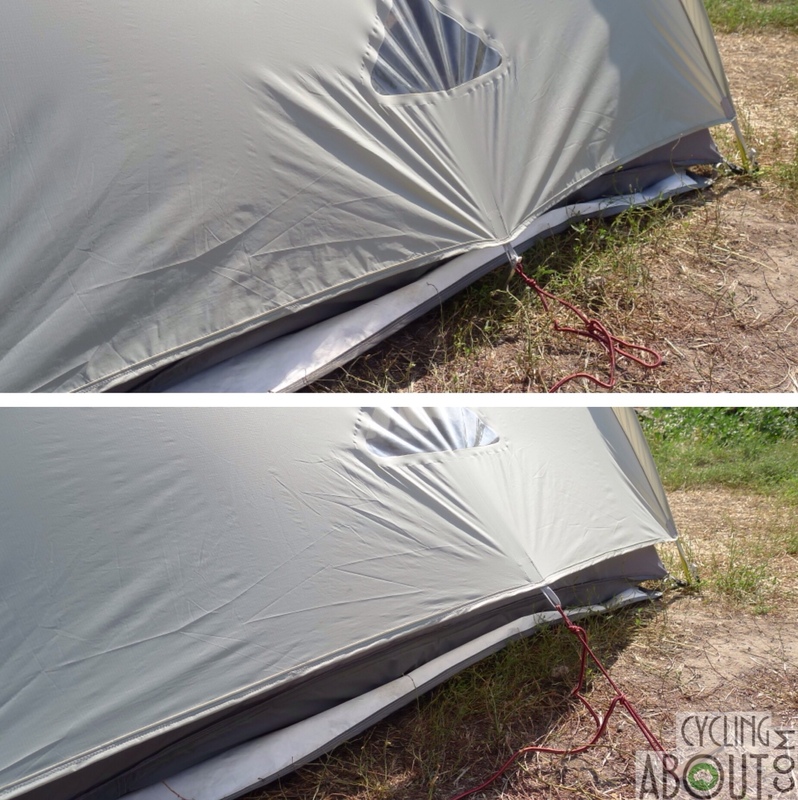 – The top and bottom ends of the tent touch the fly in the regular pegged position, but only because my head/toes (I'm 2m) push the inner out a few centimetres (a problem on both the new/old tents). We've worked out we can peg the bottom out further with a shoe lace, but this also increases the fly height from the ground, letting some bouncing rain in. The fly seems to sit better (more taught) with the shoe string too! Shoelace modifications stop my head and toes pushing the inner onto the fly. 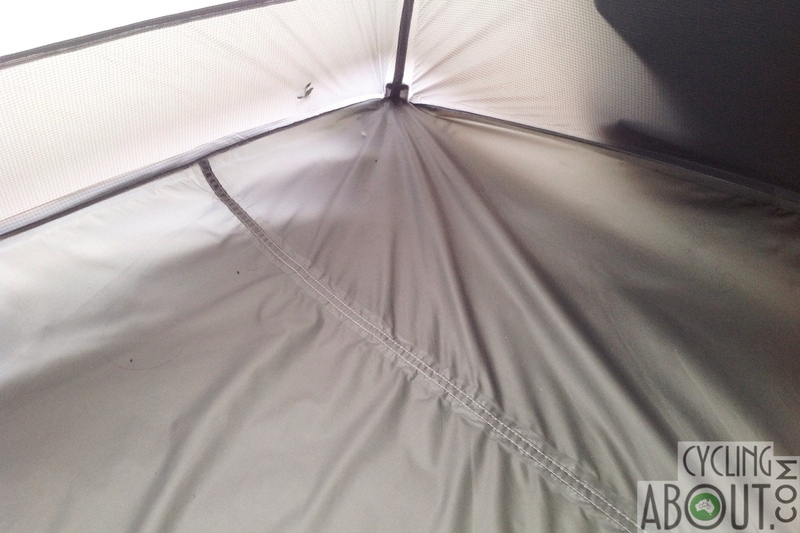 – The floor of the tent has a seam down the middle (also the case with the old tent). I'm assuming that MH use the same floor on multiple tents to save costs, but a seam on the floor is subject to much more wear than anywhere else! We wish there wasn't a seam on the floor. 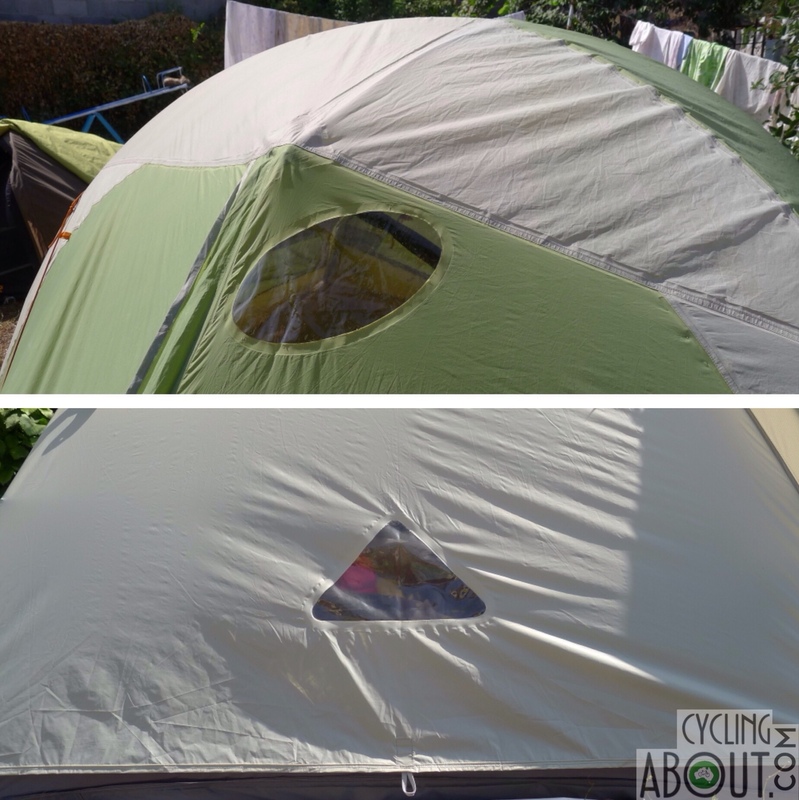 – We think the tent could do with a floor with a higher waterhead rating. It is currently 3000mm PU, but 7000mm+ is ideally required. 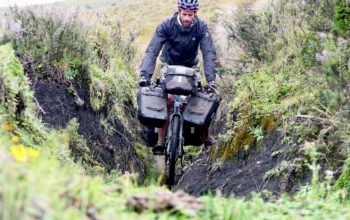 Even for slightly wet conditions, if a bit of water gets between the 100% waterproof groundsheet and tent, it will push through the floor overnight. 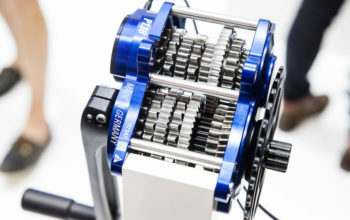 – It comes with only eight pegs when it needs 12 to guy it out. Why do tent manufacturers do this?! 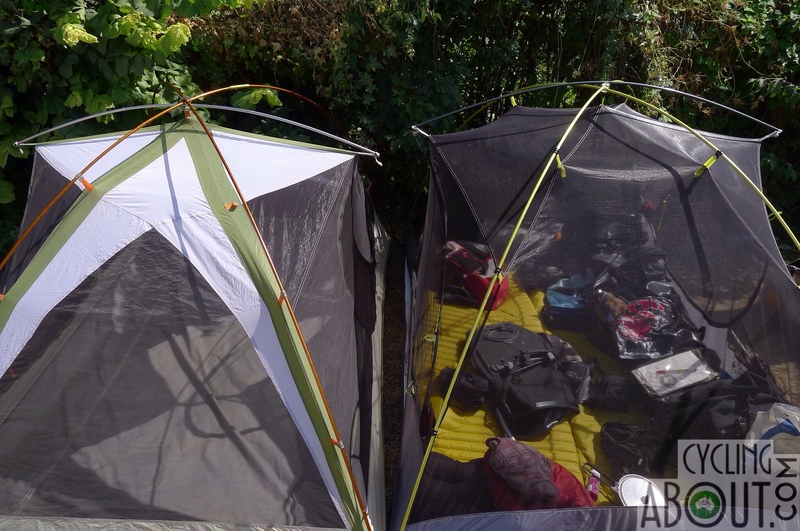 The latest tent (right) has MUCH more mesh than the outgoing model, dropping some weight and keeping it cooler in warm weather. Perfect for starry nights, not so perfect for anything below zero. 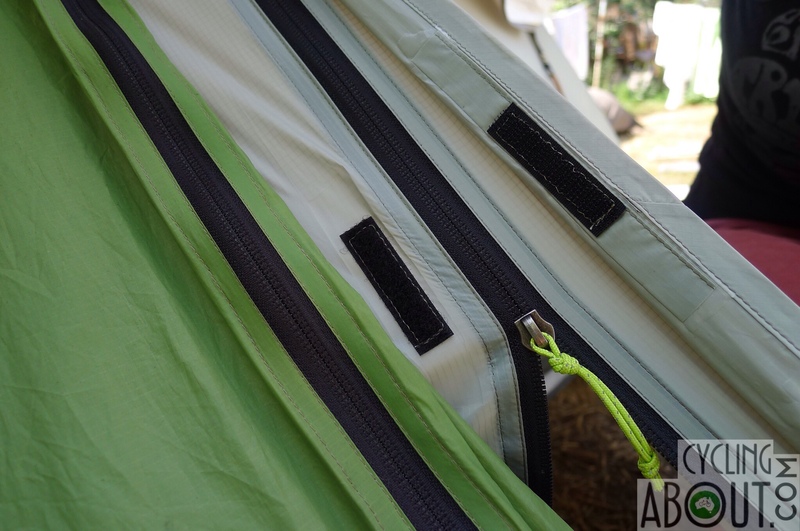 The most recent design (green) allows for one person to easily set up the tent. 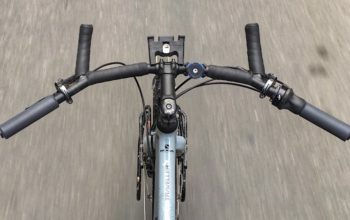 The latest ball design is easy to clip in, but we feel that it might be more susceptible to failure. 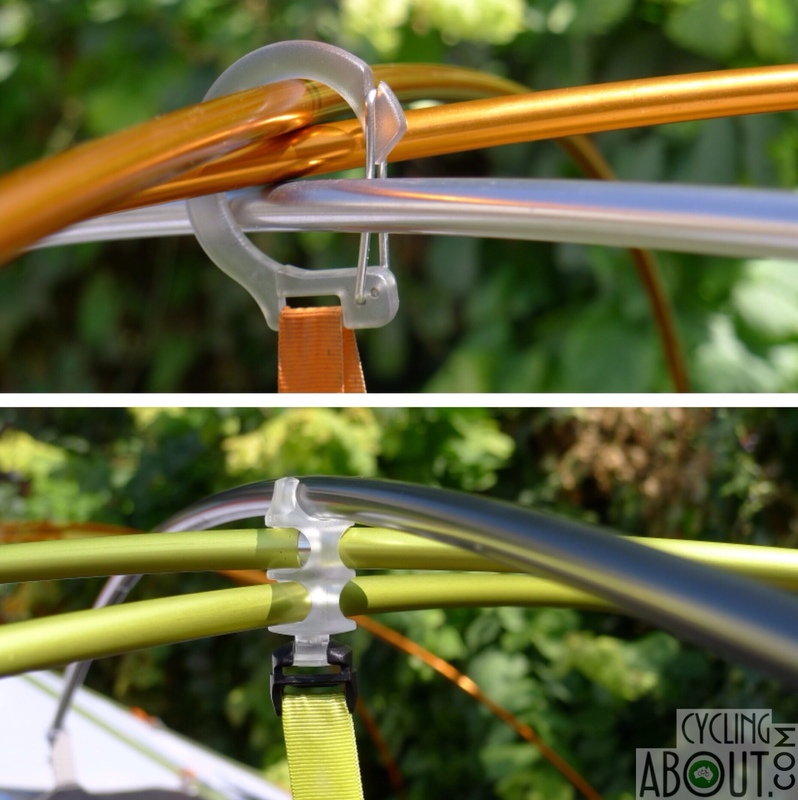 The clips on our new tent employ a hook design. 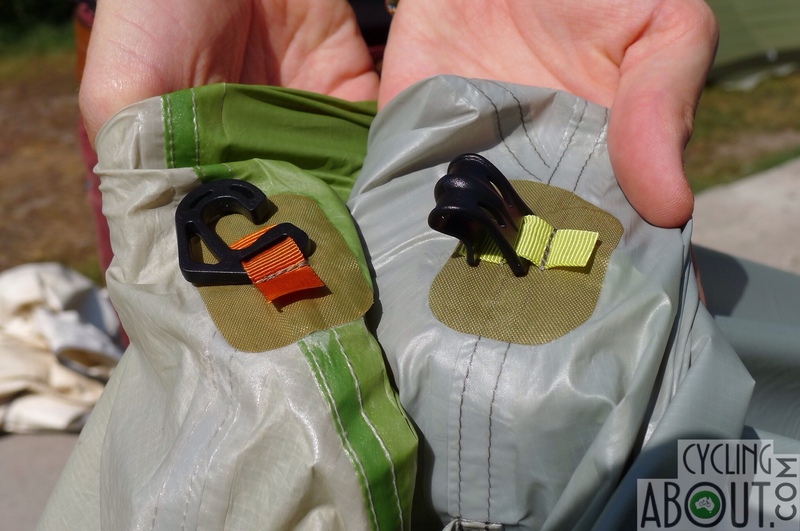 The integration with the ground sheet is great, but we feel this design is also susceptible to failure. 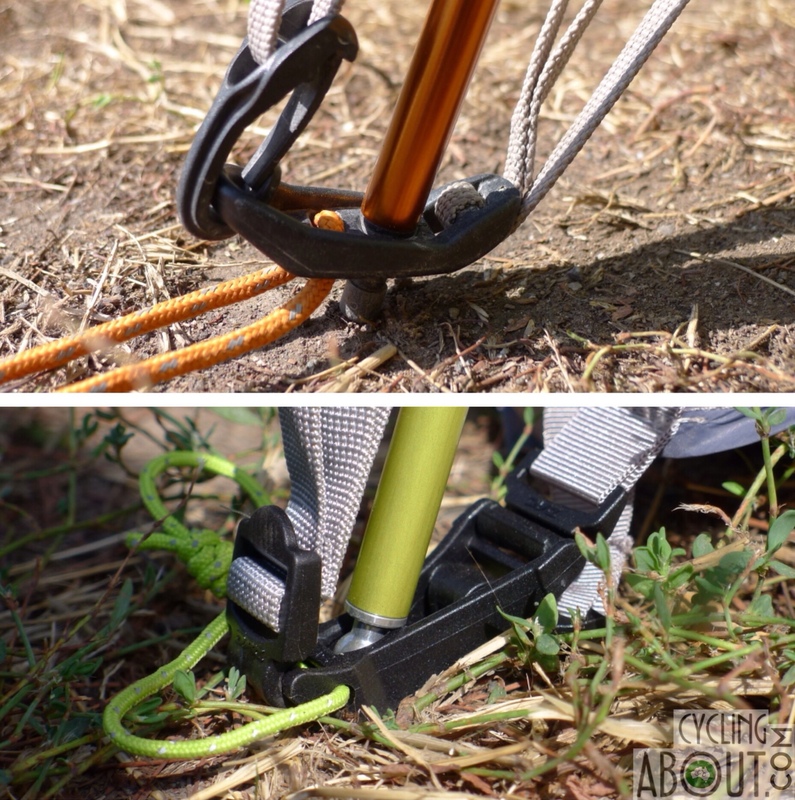 A really big improvement is the change of guy rope clips. The old 'hook' pulled the fly off the poles and never sat well. Another good improvement is the extra velcro in place over the zip flaps. There are now windows on the top and tail of the tent. We love looking out of them to check what is happening outside, but have discovered that if there are lights outside, it can be harder to sleep. Despite our old tent shrinking on us, we really like the Mountain Hardwear Skyledge 3. It is one of the best tents to set up in the rain, it is lightweight, roomy, ventilated and simple to setup alone. 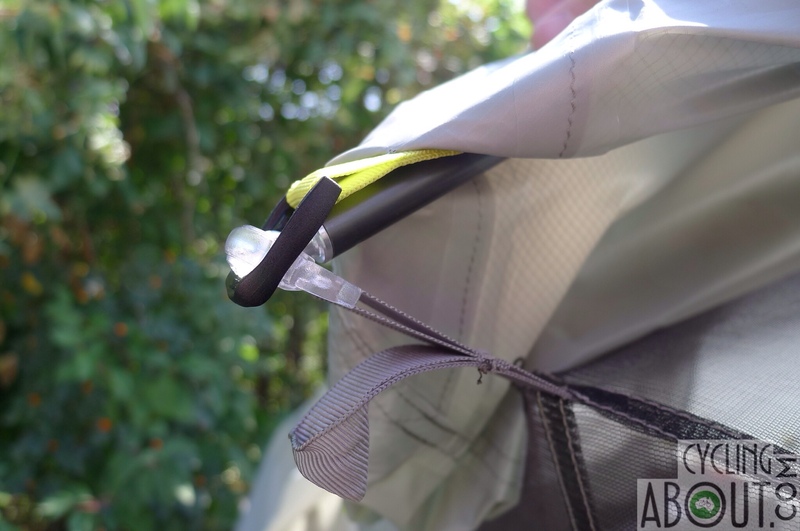 The tent's flaws aren't the end of the world; a bit of water will get in the floor and the fly will get close to the inner at the ends if you don't extend it with a shoelace. 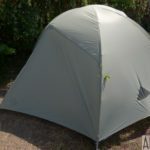 We think this tent is almost perfect for week/month long trips here and there, given its weight and versatility. 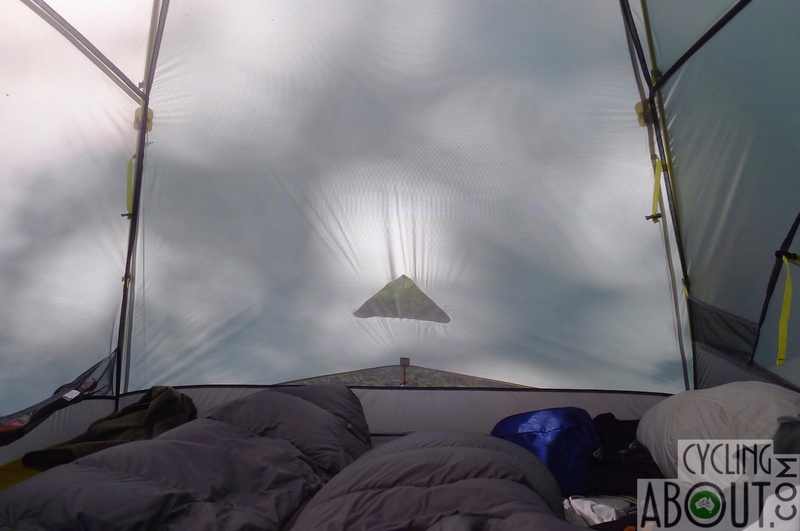 But as we've discovered, multi-year trips are a bit too rough on ultralight tents like this. We recommend something with heavier materials and clips if you will be using this tent as regularly as us.